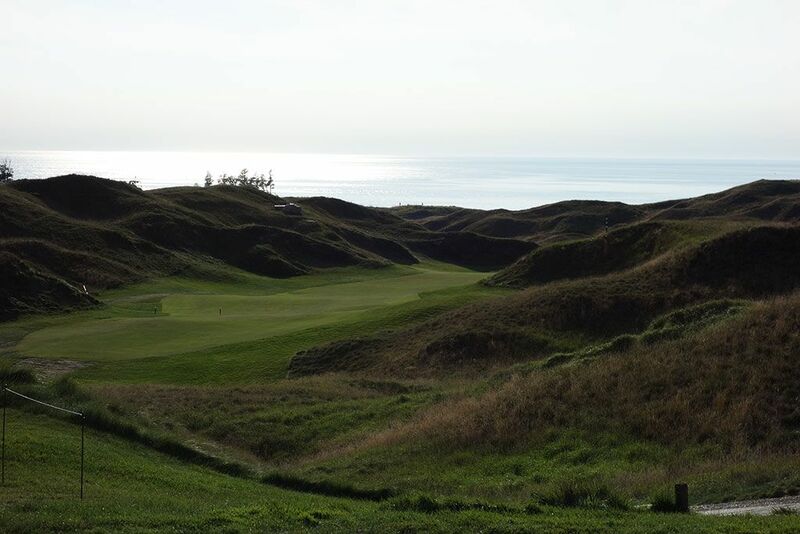 Course Website: Official Website - Visit Arcadia Bluffs Golf Club's official website by clicking on the link provided. 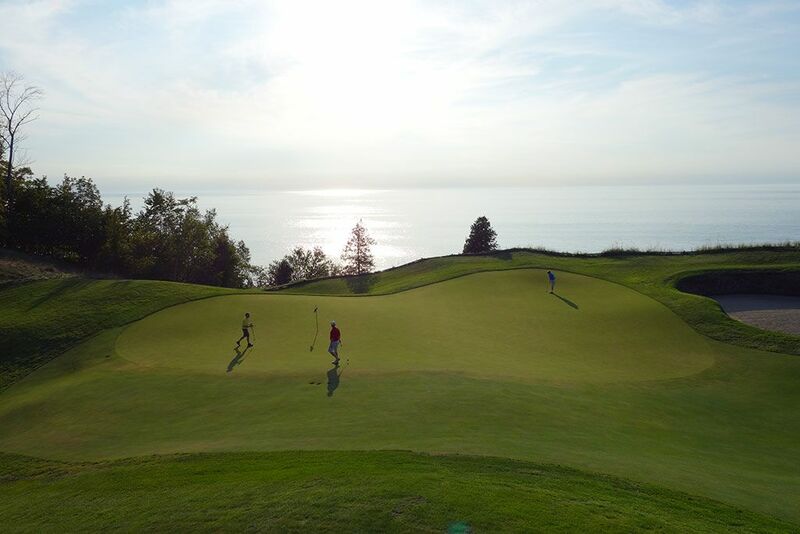 Accolades: Ranked 1st in Michigan on Golf Course Gurus' Best in State list. 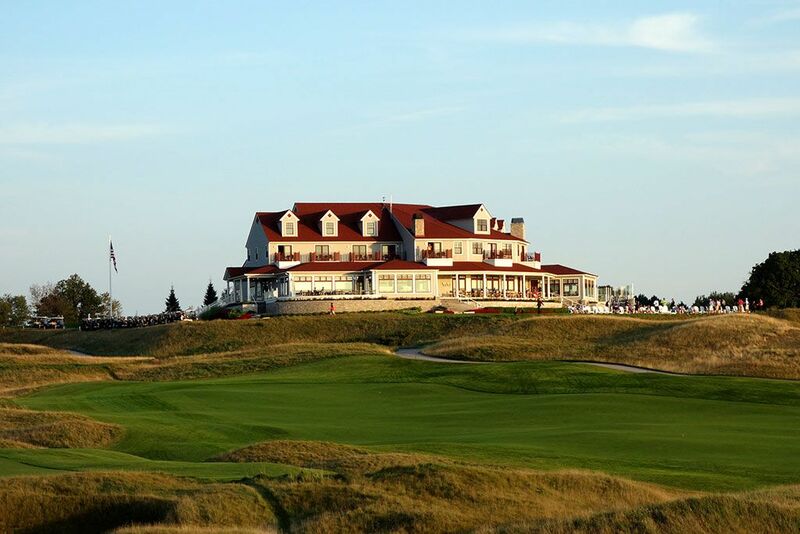 What to Expect: Arcadia Bluffs is one of the most visually impressive and overall stunning public courses in America and may only be rivaled by Wolf Creek in Mesquite, NV in terms of "wow factor" and eye candy. 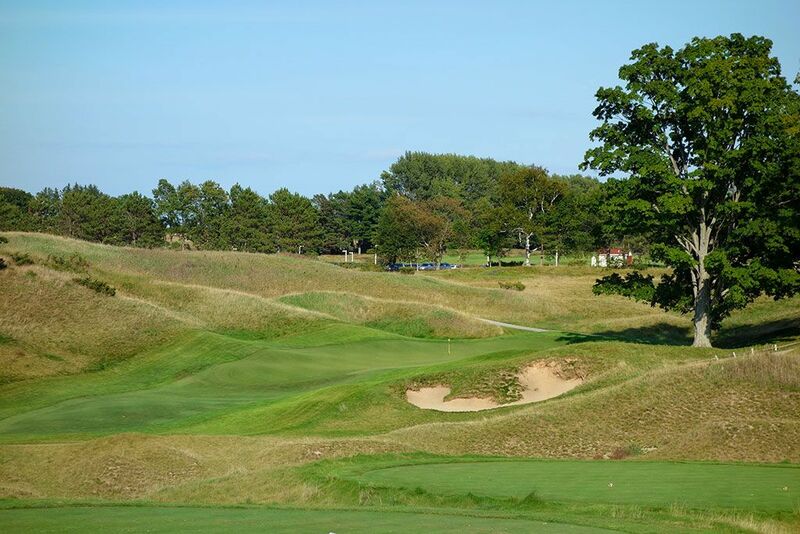 The course is located on the eastern shore bluffs of Lake Michigan just 30 minutes from Dr. Alister Mackenzie's famed Crystal Downs layout. 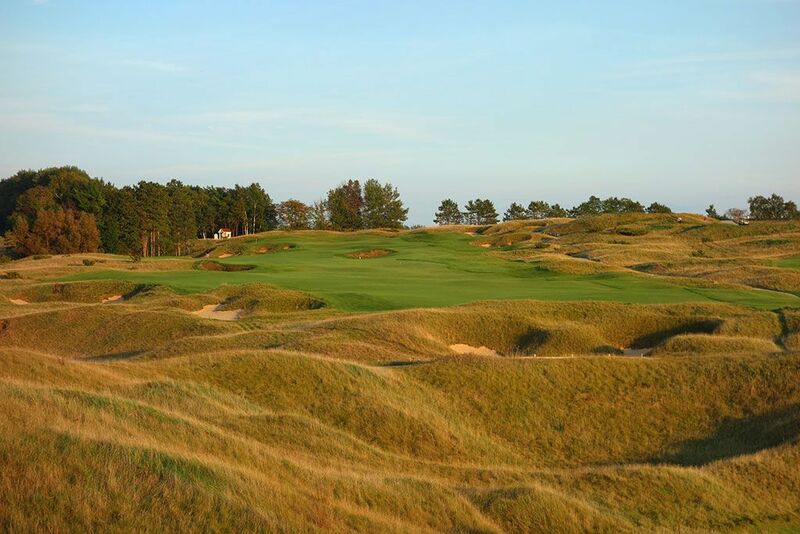 The layout features extreme sand dune formations, wind swept golden fescue, and continuous vistas across Lake Michigan. High winds often blow in off Lake Michigan which Arcadia Bluffs uniquely counters with wooden flags that are about half the height of standard flags. The Henderson and Smith duo created memorable hole after memorable hole including a handful that were unlike anything else I've ever encountered. 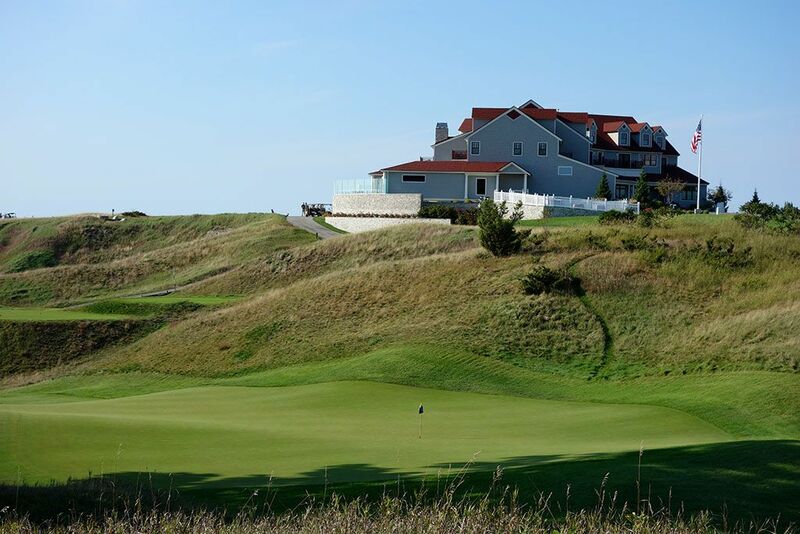 The driving corridors are wide and the greens are large which are two essential features at a course that can experience the type of wind that can whip through Arcadia Bluffs. Conditioning is excellent throughout the course which adds to the pleasure of the round though the extreme terrain and challenge leads to five hour rounds more often than not, particularly later in the day. GPS carts are provided which become particularly helpful for first time patrons learning their way around the course. 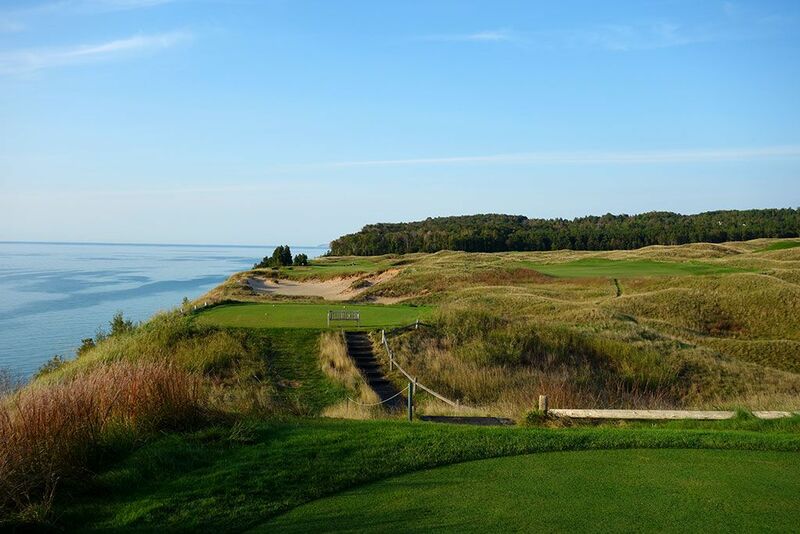 Though the extreme nature of the layout may be overdone for some patrons, I found Arcadia Bluffs to be one of the most engaging and unique rounds available to the public. Signature Hole: 11th Hole – 633 Yard Par 5 – On a course full of memorable holes, the 11th is perhaps the most wild and memorable hole on the course. 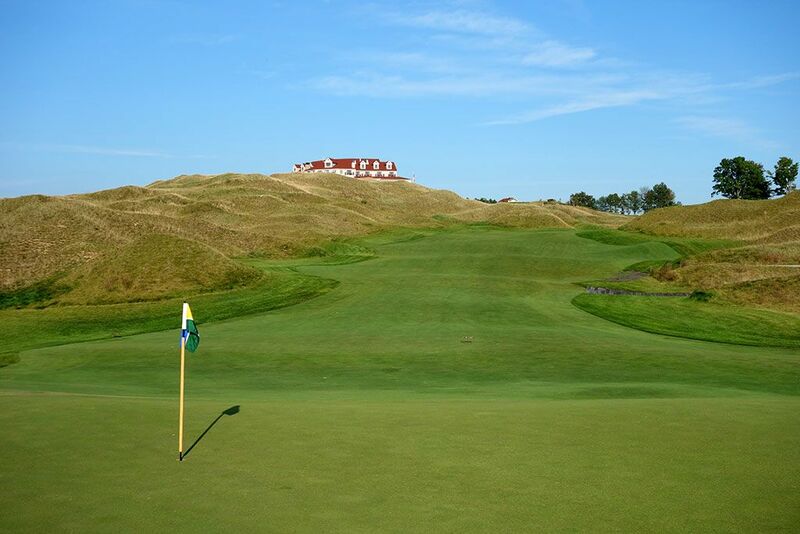 This dogleg left is carved between the dunes with the fairway reaching its widest point about 250 yards from the tips before it dives downhill out of view. Throughout the hole the fairway slopes from left to right encouraging players to hug the left side in order to gain the greatest distances and angles available. From tee to green, the hole drops a total of 200 feet which can be counteracted by the strong winds that often blow in from Lake Michigan. The wildly undulated green features multiple falloffs and is a 3-putt waiting to happen. 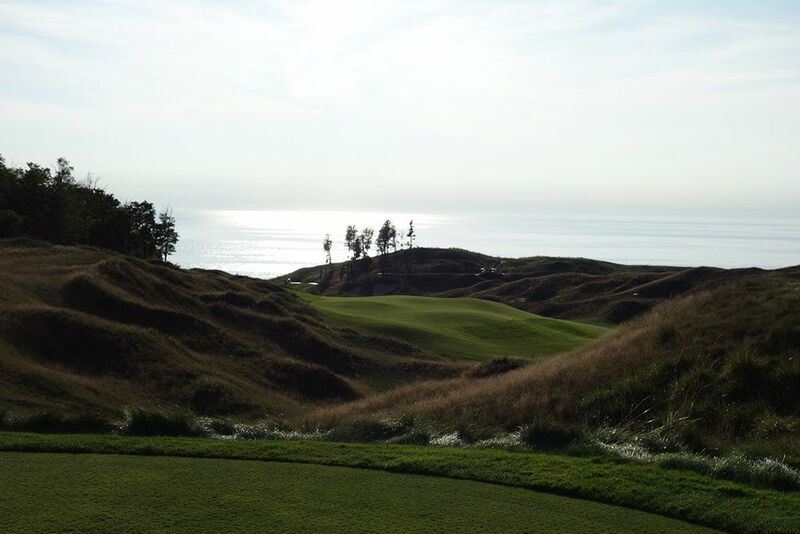 With Lake Michigan creating a background for the hole, the 11th is one of the most dramatic and scenic holes in the entire state. 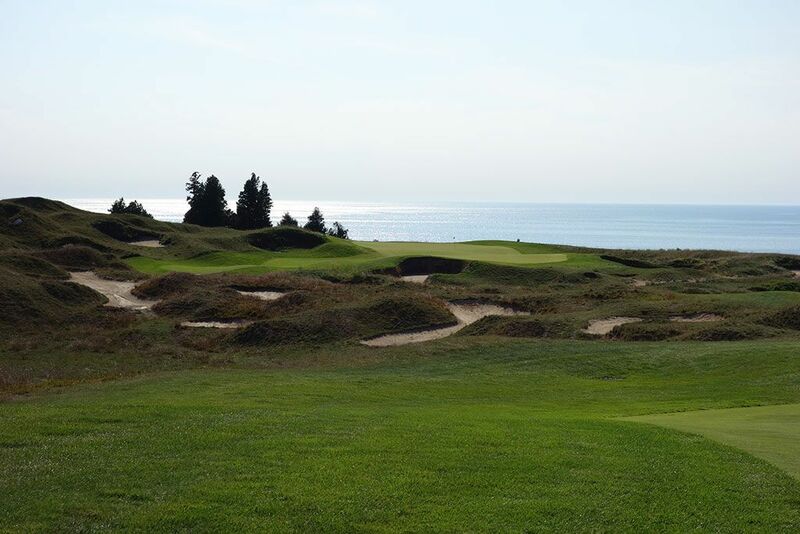 Best Par 3: 9th Hole – 203 Yards – The closing hole on the front nine plays away from Lake Michigan which means you'll often have the wind to your back. The 45 yard deep green is shaped like a reverse saddle which can help feed balls back to the center of the putting surface and set up a potential birdie, though some of the interior undulations can feed the ball away from the hole. The biggest factor to consider on this hole is properly judging how the wind will affect the flight and distance of your tee shot. 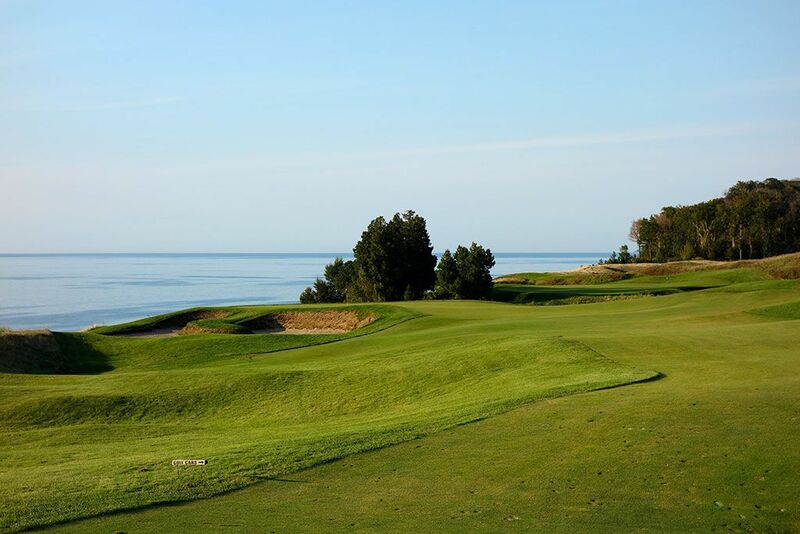 Best Par 4: 12th Hole – 431 Yards – Reminiscent of Bandon Dunes' famous 5th hole, this stunning par four is sure to excite the senses as it travels along the bluffs above Lake Michigan. Players enjoy some serious eye candy as they take in the the glistening blue water, white sand bunkers, golden fescue, and rolling green fairway that typify the 12th hole. Letting your tee ball ride the wind likely coming from your left will give you the perfect angle into the green from the right side of the fairway. 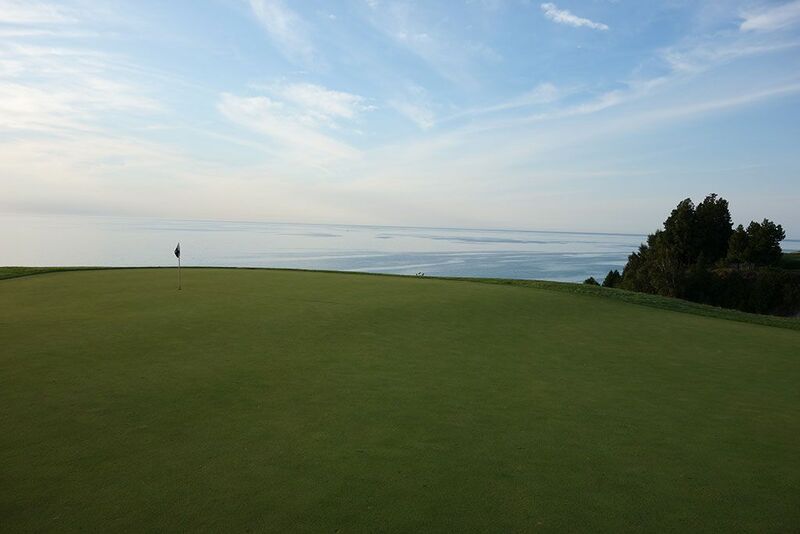 From here, the green opens up and is receptive to aerial or ground game shots while Lake Michigan and a small patch of trees provide an impressive backdrop. Best Par 5: 5th Hole – 583 Yards – Perhaps my favorite on the property, the expansive 5th hole offers a fantastic combination of beautiful visuals and an excellent risk/reward opportunity. 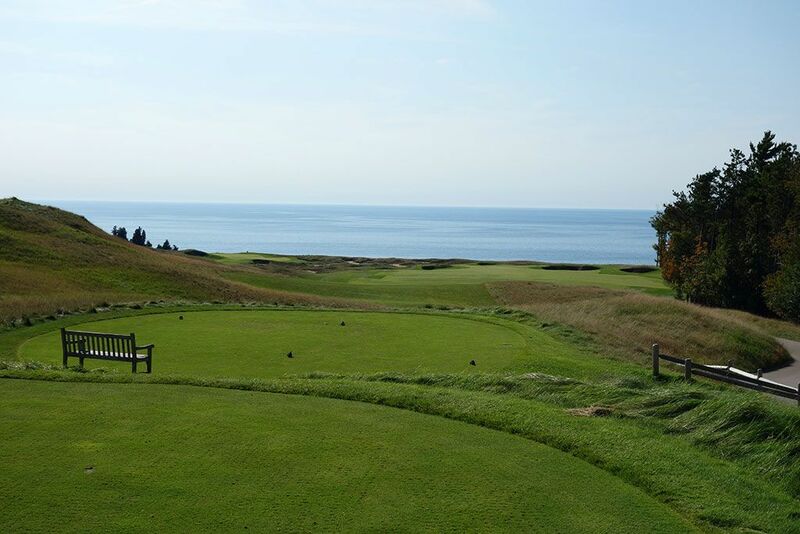 The tee shot plays well downhill with unobstructed views of Lake Michigan encompassing the background while an undulated fairway and series of bunker complexes create the foreground. The driving zone is generous with 60 yards of width and 350 yards of length to play with before the fairway tightens up and things get interesting. The second shot is where players have to decide whether to go for the green in two or whether to lay up and hit a wedge in on their third shot. Players going for the green will be faced with a forced carry over an intimidating and gnarly bunker complex with creates a virtual island green. A narrow strip of fairway is offered to the left of the green that can help catch wayward approaches from finding the deep bunkers. The 55 yard deep green is perfect for being receptive to long approaches. This is just a flat out fun hole that will play differently every single day. 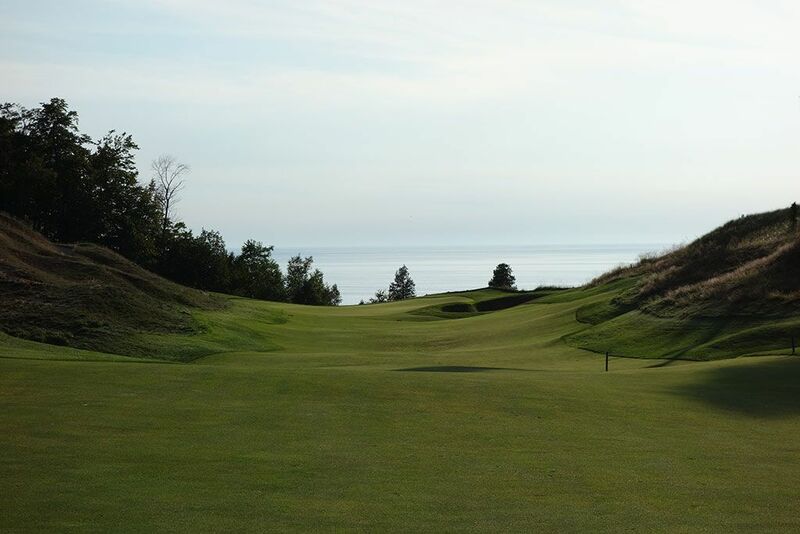 Birdie Time: 15th Hole – 519 Yard Par 5 – With Lake Michigan at your back, this short par five generally plays downwind and is reachable in two for most players teeing it up at Arcadia Bluffs. The biggest challenge comes with the uphill approach shot to a green that is set into the hillside with a falloff to the left and heavy bunker up front. Players who navigate up the right side of the hole will find a generous opening to the green and a great chance to feed their ball onto the putting surface. With a generous fairway, relatively short distance, and a tailwind, the par five 15th is just begging you to walk away with a birdie. 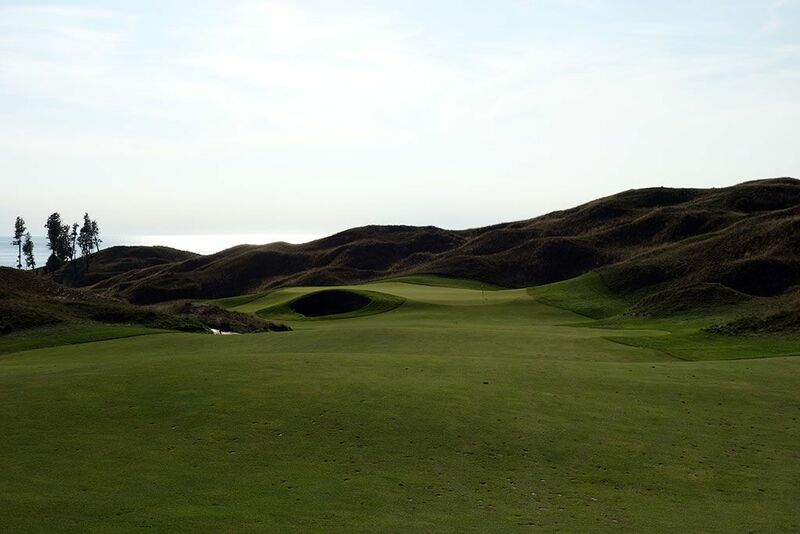 Bogey Beware: 10th Hole – 481 Yard Par 4 – I can't recall two more dramatic back-to-back holes to start a back nine than what Arcadia Bluffs offers. The par four 10th plays well downhill the entire way as the fairway carves its way through the neighboring dunes. The multiple tee box angles change the aiming point with the black and white pole being the signature marker you should be dialed into though the finishing position of your tee ball may end up out of view altogether. The approach shot plays to an undulated green with a Road hole-like bunker and steep falloffs virtually every direction off the green which significantly reducing the safe landing areas for approach shots. With a not totally clear idea of where to hit your tee shot, a difficult approach shot, and a hole that plays dead into the wind, walking away with a par on the 10th hole is a stout feat.